The first day of college is an incredibly exciting time for students. After all, you’re finally on your own! You don’t have to ask permission to go anywhere or do anything. It’s completely up to you how you want to spend your time, what classes you take, what type of job you’ll have, and how you get to spend your money. Go ahead; jump up and yell freeedooommmm! So, let’s talk about money for a second because money is what will allow you to do all the fun extras you want to do while you’re in school. Whether your parents give you an allowance or you’re living off student loans and your part time work income, there are going to be some important steps you need to take to protect your income during this exciting and somewhat daunting first year of school. You might already have a bank account. Perhaps you share one with your parents or opened one when you started making money from your job in high school. Either way, take a hard look at your account and make sure that you’re getting the best deal possible. After all, you’re an adult now so it’s important to take ownership of the money that you do have. Many colleges have local credit unions that provide a significant benefits to college students, such as no ATM fees or completely free checking accounts. Maybe you need a checkbook to pay your off-campus rent. If so, see if your bank charges for something like that. Some do and some don’t. Also, what happens if you make a mistake (because we all do)? Ask your bank how much they will charge you if you have an overdraft fee or some other issue. All of these answers can help you decide which bank is best for this stage in your life. I know; I know. Yawn. Could this suggestion be any more boring? 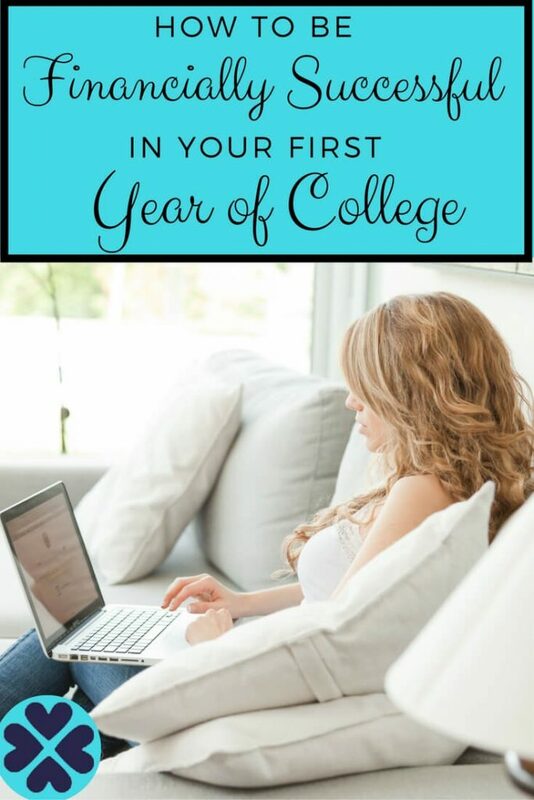 But seriously, if you can learn how to track your spending now while you’re in college, you will be way ahead of the game financially from most grown adults. The reason you should track your spending is so you can make sure that you have enough money to enjoy all the fun parts of college like spring break trips or buying food for tailgating at football games. The last thing you want is to head to the grocery store to buy a ton of food for the game only to have your card not work because you have an insufficient balance. Or, maybe your card will work but then your bank will charge you an overdraft fee. No bueno. Tracking your spending is pretty simple too. It’s not like you have to sit there in the student union cafeteria entering your purchase in an excel spreadsheet. Just use something like Personal Capital or Mint where you can link your bank accounts and let the program tell you where your money stands. Again, getting insurance definitely sounds like one of those super boring adult topics but it’s really not as bad as you think. Basically, all insurance does is protect you against something bad happening. Although you’re young, and it’s unlikely you’ll experience too many issues while in college, you never really know. This is why it’s important to protect yourself and the money that you do have with insurance. Some examples of insurance you might want to get include renters insurance if you live off campus. Renters insurance can be very affordable. In fact, the last apartment I recently rented before buying my house was only $13 a month for basic renters insurance. So, if your off-campus apartment catches on fire or the person renting the apartment above you gives you water damage from an overflowing dishwasher, your assets will be protected. Tuition insurance can cost as little as $30 a semester, and it will protect you if you have to leave school if you get sick or injured. Many people don’t realize that your school might not refund your tuition money after a certain date. Allianz Tuition Insurance has three different levels of coverage. Take a look and remember to protect your investment in college, especially if you’re paying for your college education yourself. The last thing you need to be aware of are all the little fees that can break your budget while you’re a student. For example, if you borrow a textbook from the library but don’t return it on time, you could get a late fee on your university account. Colleges also tend to have complicated parking systems where you’re only allowed to park in specific places. Pay attention to these signs so you don’t have to pay an expensive parking ticket. Remember that if you happen to ignore these types of fees and don’t pay them, you could have an outstanding balance on your university account, which can prevent you from enrolling in your next semester or even graduating. So, if you get a bill or notice that you have a ticket on your car or elsewhere, go ahead and take care of it and try to avoid getting one in the future. Ultimately, college will be an amazing and memorable time in your life. It’ll be even more worthwhile if you can develop strong financial skills now while you’re young so you can start building wealth as soon as you graduate. What are some other financial tips that new college students should know? Where was this guide when I was in college? Seriously, though. I don’t think I even considered insurance at that age. Great tips Kat. With two seniors in high school we are collecting as much information as possible and sharing with them. Agreed! I’d add checking for textbooks at the library first–through the inter-library loan system. Then checking half.com or other used textbook sales or rental sites. My first semester I bought used copies at the campus bookstore and it was such a rip-off! If I were a college student, I’d find a side hustle and look for extracurricular activities! I’d try anything out to reach my fullest potentials! This brings back memories I had in college. I miss tracking my expenses and budgeting as I had limited budget, so I had to find a way to keep expenses in control. Oh my gosh, I was the queen of stupid overdraft fees when I stated college. It was ridiculous. It wasn’t even that I really needed the money, I just never paid attention to my balance. On the rare occasions I did notice my balance was low, I had no trouble turning down going out for dinner or catching a movie. I wish I could shout from the library rooftop at college students and tell them “make a budget! !” Those little purchases add up and and fees are so annoying. They’re literally charging you money for being irresponsible with your money. And I second you on credit unions, fewer fees and lower rates are a win-win!